President Trump plans to impose further sanctions on North Korea after the rogue nation conducted its most potent missile test yet. "Just spoke to President XI JINPING of China concerning the provocative actions of North Korea," Trump said in a tweet Wednesday. 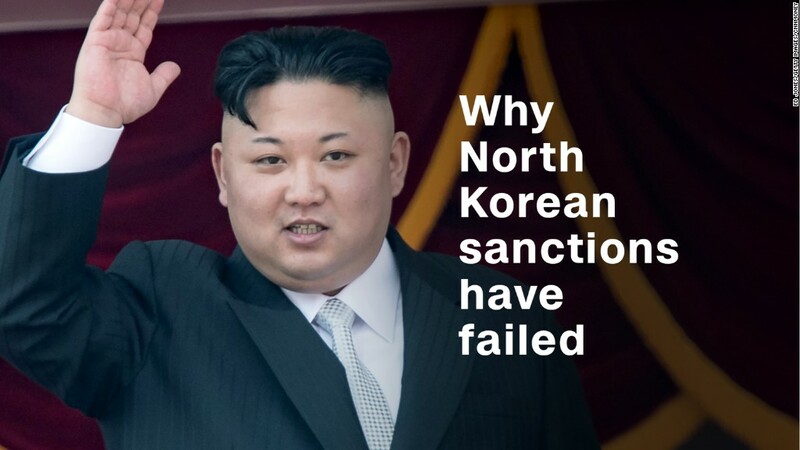 "Additional major sanctions will be imposed on North Korea today. This situation will be handled!" Trump didn't provide further details on what sanctions were planned. But Secretary of State Rex Tillerson offered a few clues. "We have a long list of additional potential sanctions. Some of which involve additional financial institutions," Tillerson said during a meeting with the Crown Prince of Bahrain on Wednesday. White House press secretary Sarah Sanders told reporters during a briefing later in the day that the administration wants "to do everything we can to put maximum pressure" on North Korea. In an earlier interview with Fox News, she said a sanctions announcement by the Treasury Department would come "very shortly." A Treasury spokesman was not immediately available to comment. North Korea conducted an intercontinental ballistic missile test Tuesday afternoon U.S. time. The nation's leader, Kim Jong Un, said following the test the country could now strike the U.S. with a missile capable of carrying a nuclear warhead. Trump has promised to rain "fire and fury" on North Korea if it continues to threaten the U.S. or its allies. The White House has been steadfast in upholding its policy of exerting "maximum pressure" on North Korea's finances to isolate the regime. The North Korean regime is believed to use a complex network of front companies to do business in China and other countries to dodge the U.S.'s economic restrictions. North Korea is also known to employ deceptive shipping practices, including ship-to-ship transfers. North Korean officials told CNN's Will Ripley (before Trump's tweet) on Wednesday that little will stop them from ending the country's rogue nuclear program. "Do the North Koreans feel they have now proved they have this nuclear deterrent?, They told me, no, that they are still unwilling to consider diplomacy with the Trump administration right now," Ripley said. "And that they still need to take it one step further and conduct another nuclear test, perhaps even above ground."